Has your vision progressively became cloudy and blurry, and have colours seem less vivid than before? Are you experiencing disturbing glare and halos around lights, especially at night? Or, do you have increased difficulty in seeing at night, and need to frequently change your eyeglasses prescriptions? If you are experiencing the symptoms mentioned above, you may have developed cataracts. A cataract is a condition where the clear human crystalline lens of the eye become cloudy or opaque. Early cataracts may be asymptomatic and not detectable through the naked eye. It may be however, as the cataracts developed and “ripen” into mature cataracts, the clouding of the pupils become noticeable, along with gradual decrease in clarity of vision. The most common type of cataract is age-related. Age-related cataracts develops when the crystalline lens is less able to maintain its transparency. While most cataracts are usually age-related, cataracts can also be caused by diabetes, excessive sunlight exposure, consumption of long-term medications (such as steroids) and severe myopia. In a minority of cases, babies may also be born with congenital cataracts. How do I find out if I have a Cataract? If you suspect that you are suffering from cataract, you should undergo an eye examination with the ophthalmologist (eye doctor). You will be subjected to series of comprehensive eye exams to detect cataracts, such as visual acuity test, tonometry, keratometry, refraction test, Dilated Fundus Examination, as well as slit lamp examination. He will then advise you for a suitable treatment method for your condition. Early cataracts could be controlled by eye drops to slow down its progression. If you are diagnosed with mature cataracts, the ophthalmologist may advise a cataract surgery for you. Fortunately, with modern technological advances, cataract surgery is possibly one of the safest and most successful surgical procedures, usually taking about 15 minutes per eye by an experienced surgeon. A successful cataract treatment will restore your vision, giving you a clear vision. 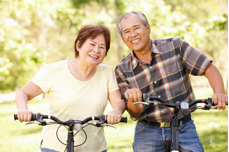 What should I expect if I wish to have cataract surgery? If you wish to have cataract surgery, our doctor will perform a Biometry eye test to determine the type of Intra-Ocular Lens to be inserted into the eye (to replace the natural lens of the eye). Thereafter, our friendly staff will help you to book a suitable timing for the surgery. You will need to arrange for about 4 to 5 days for recovery time. Can I use Medisave or private insurance for cataract surgery? Yes! Our staff will be able to assist your Medisave claim for your cataract surgery, with the maximum amount claimable of up to $2,150 per eye. You will be able to claim from either your own, spouse’s, or children’s Medisave account. You can check with your private insurance providers regarding the eligibility for cataract surgery claim. If you suspect that you or your loved ones are suffering from cataracts, contact us today at 6733 5188 or email us at doctor@eyecare.com.sg to book an appointment with our professional eye ophthalmologist. Early diagnosis and treatment could help to save your eyesight!